Tuffy says: Zan Par Chex is For Sale. This horse was foaled at Robin's Nest Farms. 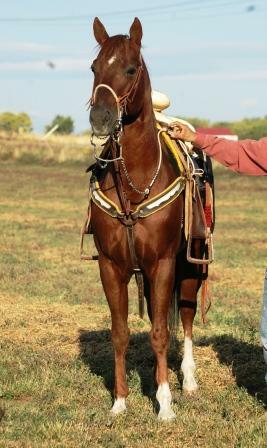 This REALLY nice horse is broke the best and is trained to use in the Mexican Rodeo's. His breeding reads like the who's who of the Quarter Horse world. COLONEL FRECKLES, ZAN PARR BAR, DOC'S LYNX, CCC ROAN CHEX all on his papers. Gentle for the kids to ride (with supervision, he is still a stallion.) He has not bred any mares yet but is equiped to do so. Power steering, good reverse and excellent brakes! Nice to ride with other horses. No bad habits. Very easy to turn into a top notch gelding. The only reason this horse is offered for sale is his owner would like a blue roan. Open to offers.